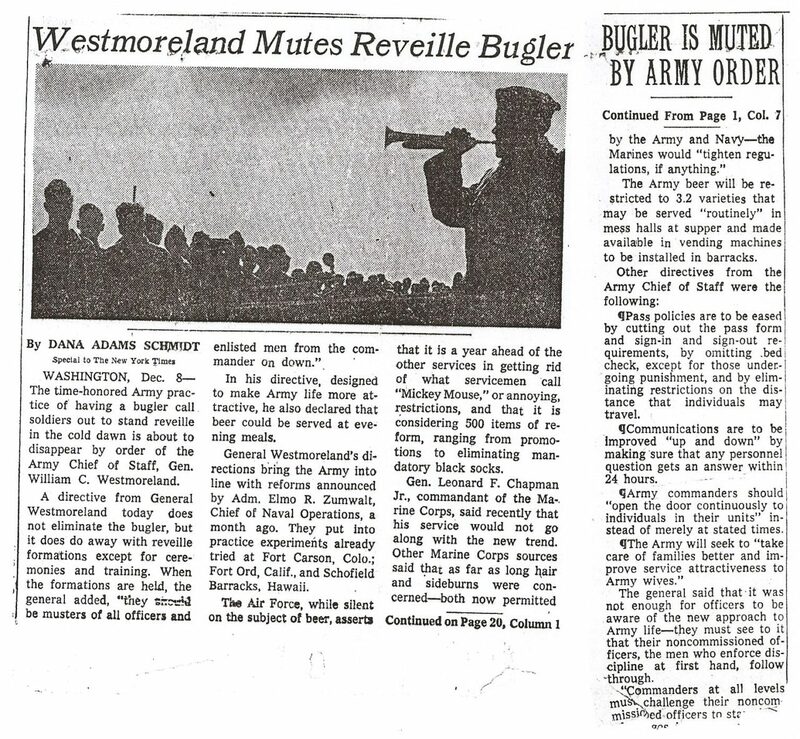 A directive from General William Westmoreland did away with morning reveille formations as part of military reforms in 1970. 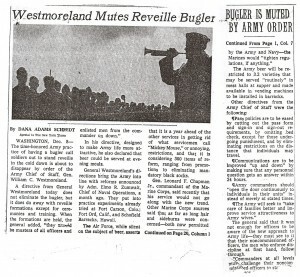 This probably led to the call of Reveille begin changed in the US Military from the call of a morning roll call formation to one for raising the colors. Reference Army and Air Force manuals. This entry was posted on Sunday, October 17th, 2010 at 9:10 pm	and is filed under History of Taps. You can follow any responses to this entry through the RSS 2.0 feed. You can leave a response, or trackback from your own site. Jari, you sound surprised by the Marine’s reply to changing tradition. That’s one of the things that set’s The Corps apart – their devotion to keeping alive their history and traditions.